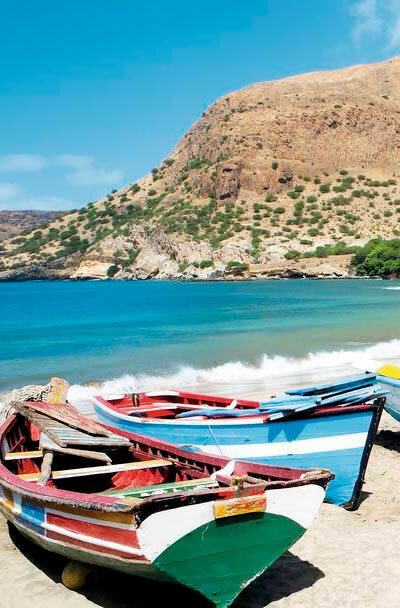 The Cape Verde islands are recognised as a country and is categorised as part of West Africa. The island group span an archipelago of 10 islands and 5 islets and are located in the Atlantic Ocean around 500 kilometres from the African coast of Senegal. Its major languages are Portuguese and a local dialect made up from Portuguese and African words. Cape Verde’s climate is temperate, with a warm, dry summer with hardly any rain at all on the islands of Sal, Boa Vista and Maio. Due to its location and climate the islands have developed a laid back culture with a heady mixture of Brazilian, African and Portuguese influences. You’ll see it in the islands’ 'Morna' music, fashions and, perhaps most clearly, the food, don’t forget to try the delicious local dish ‘cachupa’ a stew of hominy, beans, meat or vegetables. 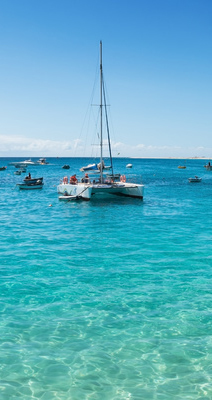 Charter flights are currently available from the UK to the popular holiday islands of Sal and Boa Vista some of the other Islands can be reached by schedule flights but attract a much higher price and often require a stop in either Portugal or Morocco. Sal is Cape Verde’s most popular island, on this cosmopolitan holiday isle you will find an impressive lunar landscape dotted with colourful, quaint towns such as Santa Maria on the southern coast here you’ll find traditional restaurants and bars, surf shops and a pretty square lined with al fresco cafés. There is no wonder that hotels have been construction in this area with its 8 kilometres long beach. If beaches are your thing then you can’t go wrong with a visit to the island of Boa Vista. The beautiful sands encircle the island with 55 kilometres of stunning coastline and it is no wonder the islands have been dubbed the ‘African Caribbean’. The Pinnacle of Boa Vista’s beaches must be Praia Chave due to its fine snow-white grains and shifting dunes. Excursions and things to do in the Cape verde Islands. (1) Go Island hopping - Visit nearby Boa Vista and its beautiful white sandy beaches, or try bohemian Sao Vicente home to musicians and writers. (2) Diving - there are several diving schools and companies. (3) Quad bike tour - A great way to explore. (4) Whale Watching - Try a whale watching excursion (May to September) or sea-life excursion. (6) Visit ‘Pedra de Lume’- See the old salt mines, relax and bathe in the salt water. (8) Turtle S.O.S - Check out the Turtles hatching eggs and then sponsor your own turtle! (9) Water Sports- Have a go at Wind & Kite Surfing or just sunbathe and watch the experts. (10)Watch the sun go down with a cool cocktail and relax.